School is arguably the most consuming time in any child’s life, with grades K-12 being an especially developmental time. Students want to feel engaged with what is being taught - it makes it easier and more fun to learn, especially with STEM topics. STEM (Science, Technology, Engineering, and Math) and STEAM (the aforementioned with the addition of Art) learning open the door to a vast variety of jobs, yet it has been noted that less and less students are pursuing degrees and careers in these fields. 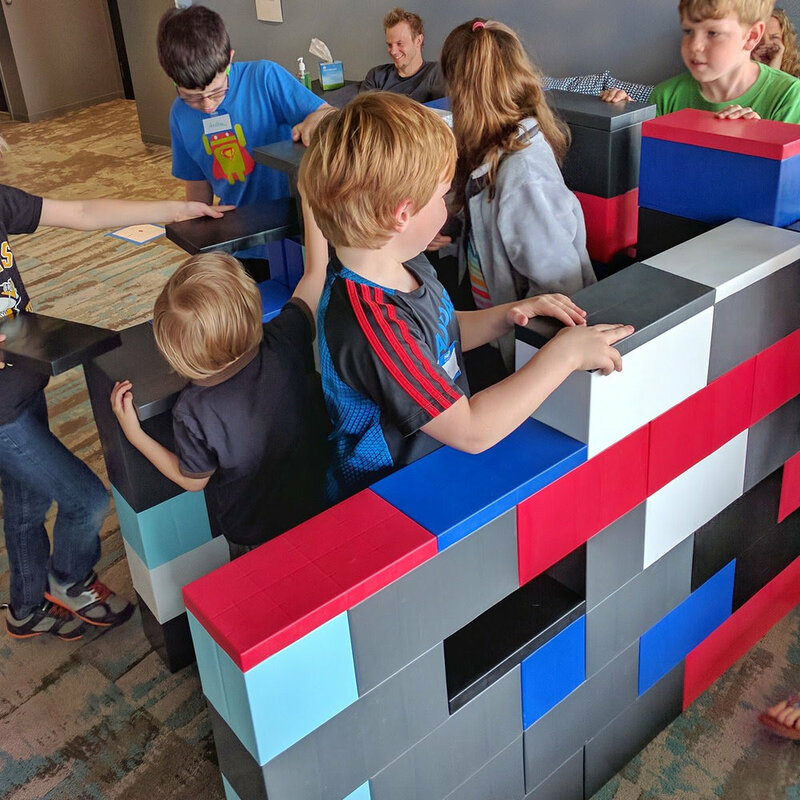 EverBlock’s ability to be used by any age increases our belief that we can increase interest in these subjects by attracting and interesting younger students through a more hands-on learning approach. However, school isn’t just a place to learn about new subjects, it’s also a way to learn about life skills such as problem solving, collaboration, and critical thinking. EverBlock provides a more hands-on experience in education, driving students to be actively engaged in the classroom. As many schools begin to implement a BYOD (Bring Your Own Device) Policy, engagement levels will decrease as it becomes easier for students to get distracted through games and social media on their phones. EverBlock strives to help students feel committed to their classroom learning - and who wants their kids to sit at a computer all day? EverBlock is a cost-effective way to encourage students to learn through STEM and STEAM by providing real world applications to the topics they have already learned. EverBlock prompts a more creative STEAM approach to STEM topics, enhancing student’s creativity while allowing them to explore concepts behind engineering, mathematics, design, and teaching real- life collaboration skills. Visit the EverBlock webpage on STEM and STEAM Learning for more information.